Losing hair can be traumatic, especially when the reasons are unknown. Women’s hair loss, in particular, can come as a shock. When it suddenly ceases to grow at a normal rate, it’s usually attributable to a specific medical reason. If you’re concerned about hair loss, consider these common causes that might be responsible for it. One of the most common causes of women’s hair loss is hypothyroidism — an underactive thyroid gland. If left untreated, the condition can cause hair to dry out or become excessively thin or brittle. Hair loss in other areas of the body may occur, too; in fact, thinning eyebrows are also often the first and clearest sign of hypothyroidism. Postpartum women’s hair loss is a result of increased estrogen levels that occur during pregnancy. The estrogen causes the hair to essentially “freeze” in the growing phase, which means hair that would typically fall out stays in place. This results in thicker hair during pregnancy; but, after birth, estrogen levels decline, and the extra hair eventually falls out. It tends to occur about four months after pregnancy and can last for a few months. This is a hormonal issue that obstetricians consider normal. 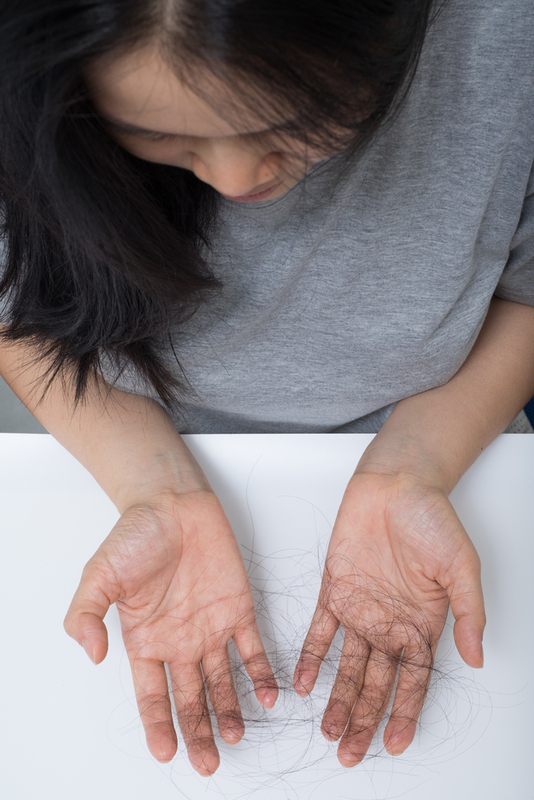 Stress can take its toll on the body in many ways and is a leading cause of women’s hair loss. There are several ways it can manifest. One is a condition called trichotillomania in which stress causes the individual to develop urges to pull hair out of the scalp and other areas. For some, it’s a way to reduce stress levels. Another is alopecia areata, a condition that may be attributed to increased stress. When it occurs, the immune system puts the hair follicles under duress, which causes hair to fall out. No matter the cause, hair loss may be reversible in many cases, and numerous treatments can make a world of difference. New U provides highly effective and reliable treatments for individuals dealing with hair loss in Rochester, NY. Offering various hair restoration and transplantation treatments, the specialists deal with everything from baldness to women’s hair loss. Visit their website to learn more about their services or call (585) 272-7320.